UNC’s recently uncovered unprecedented cheating scandal took place in the department of African and Afro American studies, a fact which has raised an age-old, prejudicial argument on the legitimacy of the field of study. 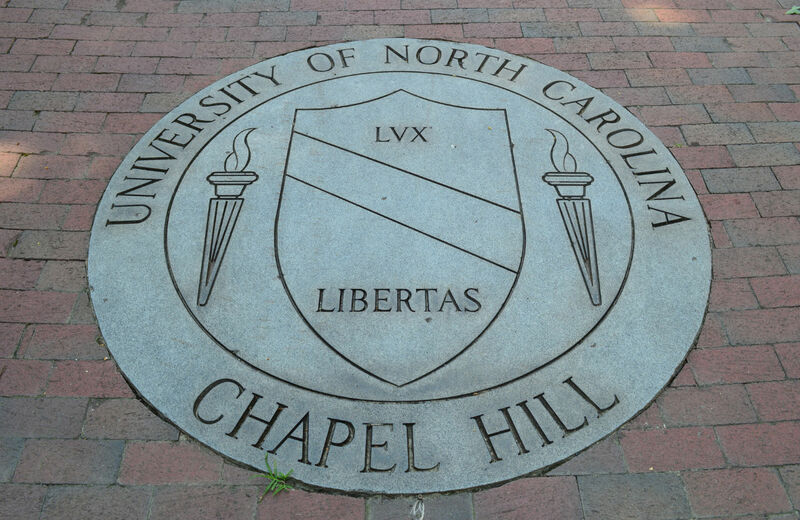 UNC Chapel Hill University Crest. This article was written by Omololu Refilwe Babtunde and orginally appeared at The Daily Tar Heel. It is reprinted here with permission. In 2011, three UNC departments were suspected of participating in deceitful academic activities. When the news hit the stands, it focused on only one of the suspected departments: the Department of African and Afro-American Studies. Rather than choosing either of the other departments as a byword for academic dishonesty, the public seems to have singled out the African and Afro-American Studies for this distinction. Due to the actions of a few individuals, the media has unjustly characterized the department as being a site of student neglect and intellectual laziness. This unfair representation is not the experience of all students in the department. I am a proud student of the Department of African, African American and Diaspora Studies. There, I received mentorship unrivaled by what I’ve received elsewhere on campus. I have been able to delve deep into a history I have never had access to before: the history of my people. This department is where I felt seen, heard and understood in a society that has for 21 years told me that, because of my black skin, I must hide myself, shut my mind off and question nothing. This department should not be a scapegoat for society’s failures. This scandal is neither just a departmental issue nor just an athletic issue. This scandal arises from the fact that our society’s conception of value is truly, truly flawed. Yes, certain people in the African and Afro-American studies department and other departments made grave mistakes. But these mistakes were informed by an understanding of social value that did not allow student-athletes to be seen as intellectual beings but instead as commodities to be bought and sold for the entertainment and profit of the more powerful. The media’s one-sided reaction to this scandal shows how our society does not value black studies. This discipline—which has historically been discredited because of our nation’s violent tendency to suppress the intellectual, artistic, political and social expressions of blacks—became the scapegoat for a system that hides its oppressive tendencies in racialized hate and deadly stereotypes. I believe in UNC. I believe that we can move beyond the normalized tendency to find a clear-cut culprit in tangled, nuanced situations. I want us to be brave enough to be able to look our history in the face and see how systems and relationships of oppression are being maintained and repeated. We should call a spade a spade.